You are ill, and while there is nothing physically wrong with you, you continue to suffer in silence. 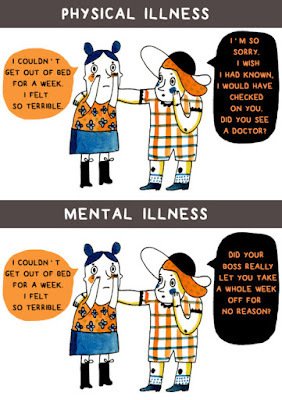 This is the struggle for many people who are suffering from a mental illness across the country. 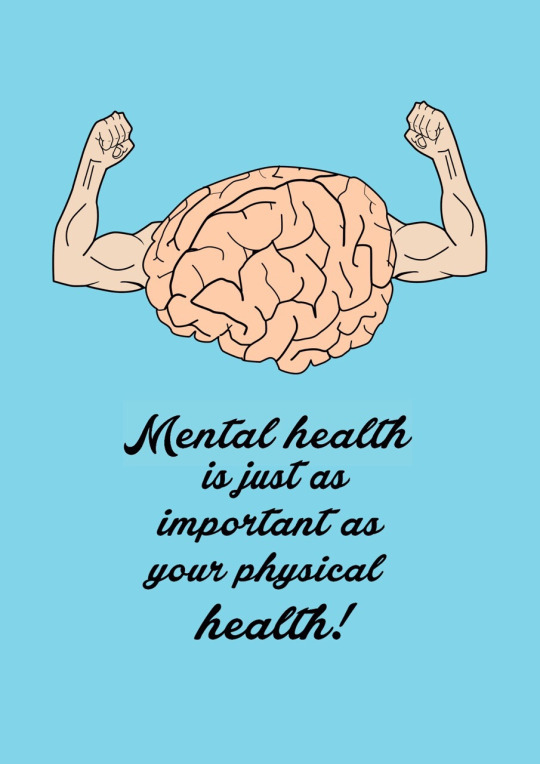 October is Mental Health Awareness month in South Africa, and it is a issue that needs to be discussed, as the stigma surrounding mental illness still unfairly persists. 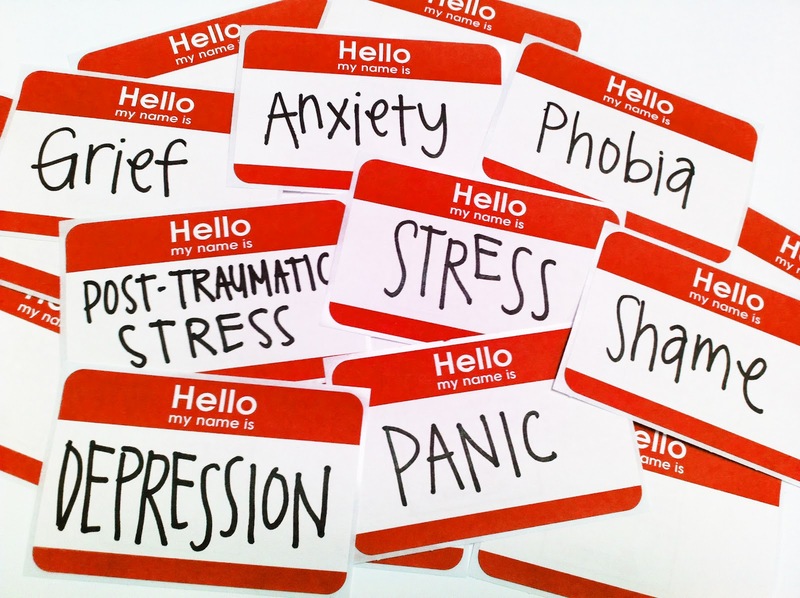 Many individuals, families and co-workers, and the broader community are affected by it, and yet, many still treat mental illness as a taboo subject. 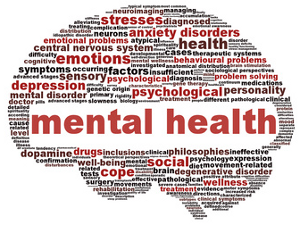 Very few South Africans seek treatment for their mental disorders, seeing it as problem that cannot be overcome. In actuality treatment is available at the nearest clinic, hospital or healthcare provider. I asked some people to share their thoughts on why it is important to speak about mental health and this is what they had to say. 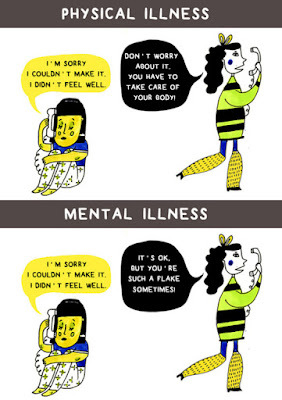 "Talking about mental health is so important. I have a form of OCD called purely obsessional OCD, and for the longest time I thought that there was something completely wrong with me, and that no one would understand what was going on. Eventually my mum convinced me to see a therapist. It took a few different therapists and much uphill from me (because I thought that seeing a therapist meant there was something wrong and broken about me), but I eventually got the right diagnosis. Being on anti-depressants has helped me in more ways than I can count. I am so much happier now, and able to deal with the intrusive thoughts in a much more productive way. 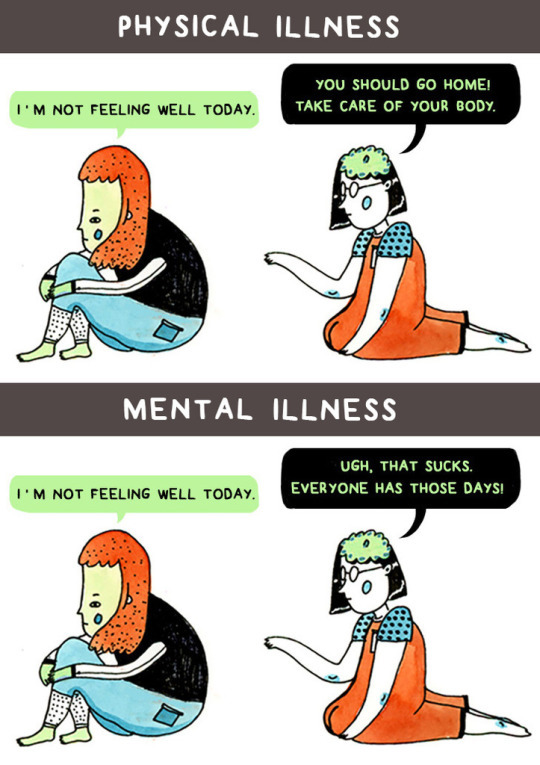 Looking back on it, if there wasn't such a stigma around mental illness, I would have gotten help a lot sooner, and I would have been more receptive to that help. 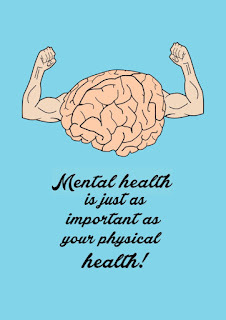 I think it's so important to let people know that seeking help for your mental health problems is brave and wonderful, and that looking after yourself is the most important thing you c an do"
"I think it is important to educate yourself about mental health illnesses. As a person who looked after someone with dementia it is very important to educate yourself so that [you] can look after the person accordingly." "Depressive Disorders is not a passing blue mood, but rather a persistent feeling of sadness and worthless and a lack of desire to engage in formerly pleasurable activities. A complex mind/body illness, depression can be treated with drugs and/or therapy." I want to make a distinction clear before I tackle something personal. 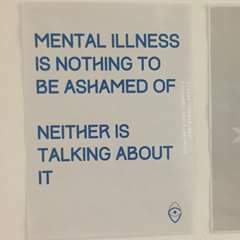 I am a bit reluctant to discuss it because I don't to disrespect or trivialise those suffering from depression. The only reason why I am tackling this personal experience, is because it is why I find talking about mental health to be very important. A few years back, I was in a depressive slump. I felt hollow and like I was living my life a state of grey. I wasn't always sad but it was like a invisible darkness that clung to my soul and no one else could see. I remember there were weeks that I would feel like I was broken. I wondered what it would be like if I was gone. Would anyone miss me? I figured that for all intents and purposes, I was already nonexistent so it wouldn't have been any different from how I felt. There is another instance that I will never forget because it still give me chills thinking back to that moment. I was lying on my bed staring at the wall, and that was all I did for about three hours. I was alone in my room. No music, no nothing... just staring at the wall feeling numb and like nothing mattered. I feel asleep sometime, and woke up when someone needed me. After that I just tried to fill the void I felt with series or movies because it distracted my mind from feeling numb. I came out of my depressed slump as soon as I started facing my truth - I was gay. Now here is why I made that distinction at the start. I suffered from a depressive slump, I was not depressed. 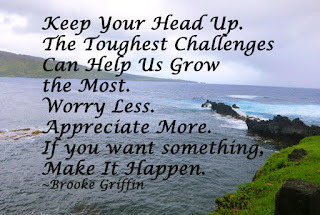 I live a life experiencing all the joys and sadness of life, but for people suffering from depression they have to face the battle of getting through everyday feeling unmotivated and a seemingly never-ending pit of sadness. Depression, like many other mental illnesses, can be treated but there is such a stigma around mental illness in this country, and the world, that those who often need treatment don't get it. A friend, directed me to her blog post titled: "When Darkness Descends..." which I highly suggest you give a read because she honestly speaks about her struggle with depression. "Some people just don’t understand depression. They don’t know how to deal with someone who has it. The feeling of loneliness… the isolation can be worse than the illness. Then there is the uncertainty…that you leaving normal life for some other place. All too often, we are told to snap out of it. We are shamed into thinking there is something wrong with us and thus sufferers fail to seek treatment. It’s time that society stops treating depression this way. We need to raise awareness. 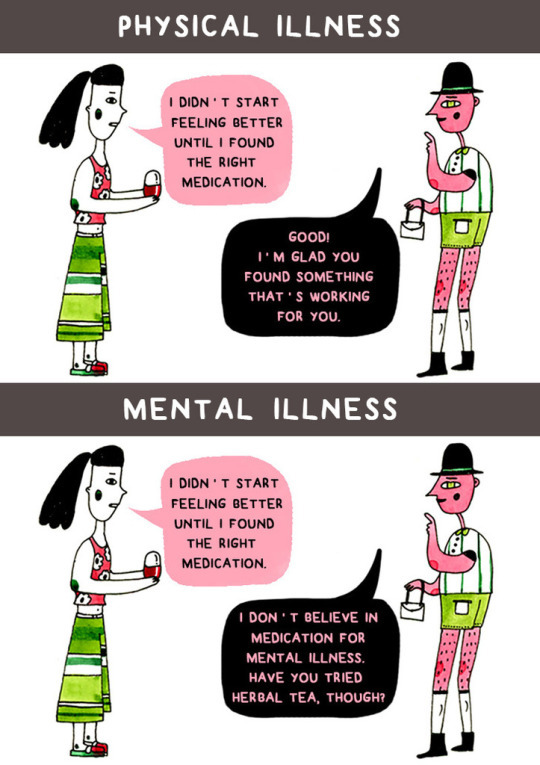 ...Depression is treatable but getting help is not as straightforward as simply throwing meds down your throat. Meds is only part of the equation. Getting well and staying well involves eating and sleeping right, diet and exercise and having a support group. Don’t be afraid to reach out. Someone will be there for you." 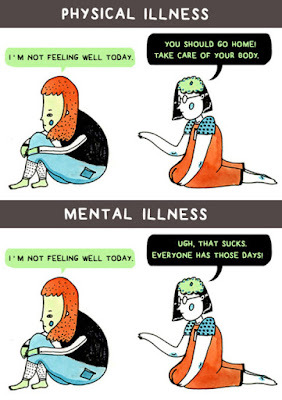 Posts like hers highlight why just how important it is to speak about mental illness. 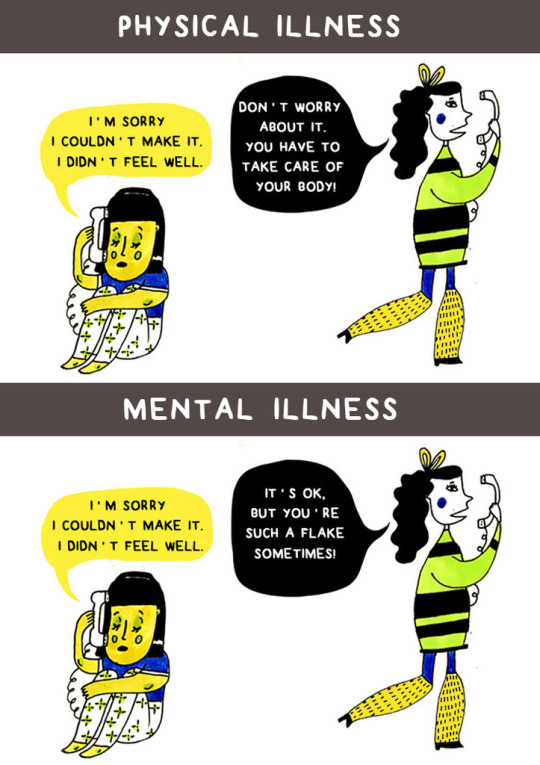 So many people need to realise that there is nothing wrong with admitting that they are suffering from depressive disorders, anxiety disorders, and other mental illnesses. There is nothing to be ashamed of. One of the post's that I shared was commented on by a friend. A friend who I had absolutely no clue had bipolar disorder. She left this comment on the post which forced me to actually sit up and think about how we treat people living with mental illnesses. Tk: "What I cannot stand is referring to people as bipolar... Or any other mental illness because I think it contributes to the whole stigma of us being defined by our illness, you know? I'm always like okay yeah, I have bipolar, not I am bipolar. Cause I'm me first before anything else... Is that just me or do other people feel that?" Me: "I think it is ignorance and a lack of understanding for the large part. I make that mistake sometimes. 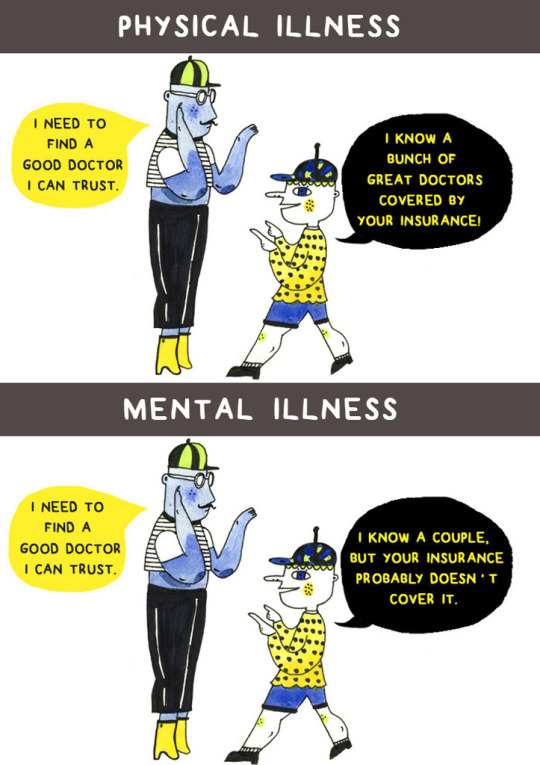 Often people suffering from a mental illness are described by the condition instead of being a person who happens to be suffering from a mental illness. 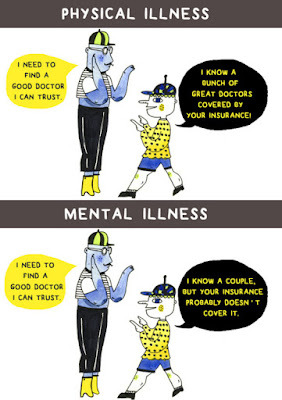 It is unfair and unfortunate but it is the stigma and lack of knowledge around mental health issues." 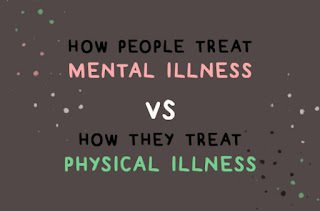 As someone currently not suffering from a mental illness, I am trying to educate myself on these matters. 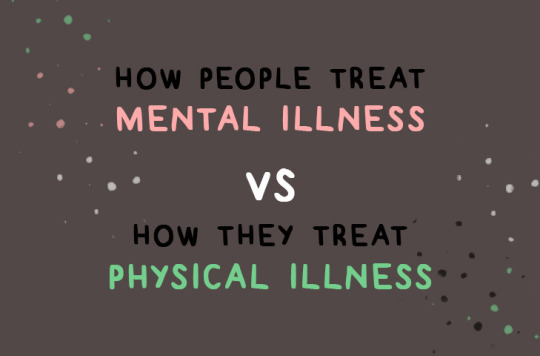 There might be some things in this post that may be offensive to those with mental illness or I might have used the wrong terms so please feel free to educate me in the comments section below. 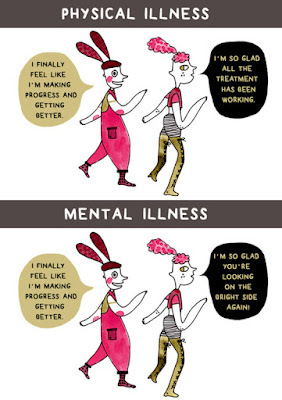 Mental Health needs to be discussed without stigma or judgement. I really hope that at least one person has learned something from this post. 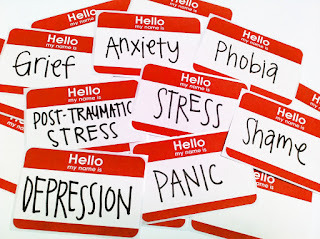 I am including the details for the South African Depression and Anxiety Group known as SADAG, because if you need to speak to stranger who will understand what you are going through, then they are certainly the people. Love yourself, and please take care of yourself. If you need someone to talk to then please contact SADAG or contact me. Sidebar - To elaborate on the whole accepting my truth as gay thing - I still needed 4 sessions with a councilor to properly adjust, but this just highlights how important it is to speak to someone about what you are going through. Speak out. 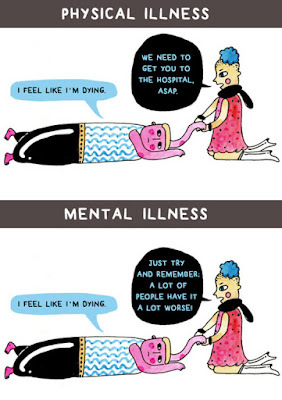 In closing I will leave you with this comic strip from Buzzfeed. Love Buzzfeed.